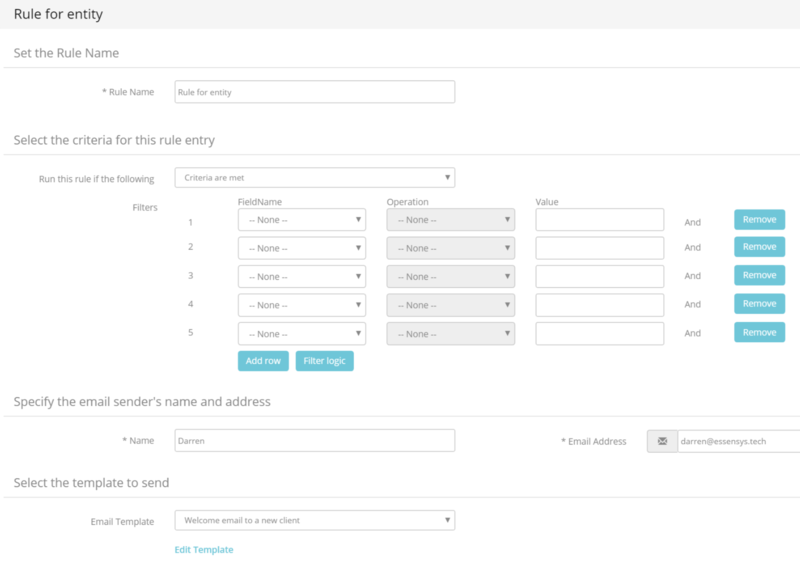 This feature lets you set up auto response rules so that any messages coming from your leads may be replied to automatically; thus providing immediate feedback to the sender. The assignment will trigger every time a new lead is created within your Operate. To create a new auto responses, go to Settings > Customize > Leads > Auto Response Rules and click the New button a the top of the list of any pre-existing rules. 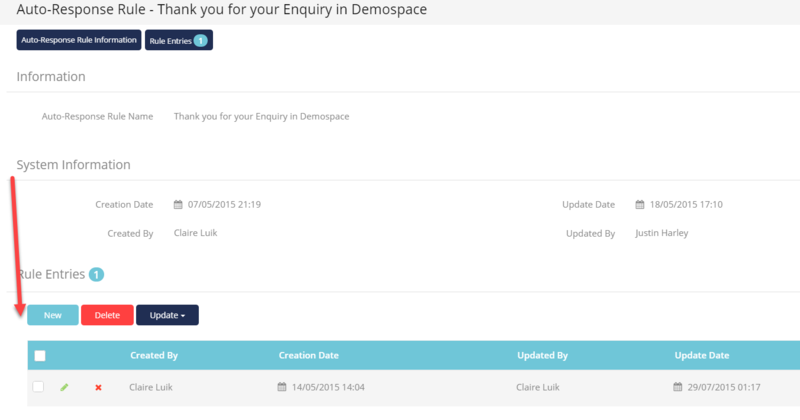 First, enter a name for your auto response so that you can easily identify it in the future. Click Save when ready. You will now be taken back to the list of auto responses. Click the name of the one you have just created in order to continue. Do not click the pencil to edit it; simply click the name link. Once you have clicked the response name, you will be taken to the auto response details screen, where you will see the basic information that you have just added; along with system information and a Rules section, where you can choose how your new response behaves. To add a new rule, click New, at the top of the Rules section. Let’s set up an auto response that will trigger when the inquiry is coming from an unconverted lead. Here is where you can add different filters that will restrict your auto response to a set of criteria you want your records to meet. The only option here is to run the ule when the critera you set below are met. Select a Field Name from the available list - For our example, we will choose Converted. Choose a condition - We will select equals. Enter a value - The value field might require free text or allow you to choose from a list of options. Here we will select False. This means that our criterion is: “Converted equals/is False”. Repeat these steps if you want to add more criteria. Use the Add New button to add more filters; or the Add Logic button to specify AND and OR conditions for your filters, which change the default AND relationship between each filter. AND ties two fields together, so that your results contain both or all fields (e.g. : 1 AND 2 AND 3). OR will make your rule consider either one field or the other; depending on your selection. (e.g. : 1 OR 2 OR 3). You can combine AND and OR in more complex expressions; in which case you can use parentheses. Please note: Your rule will trigger when a new lead record is created. The filters are not mandatory, but are particularly useful when you want to create more detailed lead autoreplies, depending on different attributes. Lastly, to finalize your auto response rule, simply enter the name and email address that you would like to be displayed as a sender when your auto responses trigger. Below, select the email template that will be used for this purpose. This template needs to have been previously defined under Settings > Templates > Email Templates.